Easter time. Is it just a big Sunday? One with a larger attendance and more work? Is it a day for family and a big Sunday meal? What is it, really, to you? 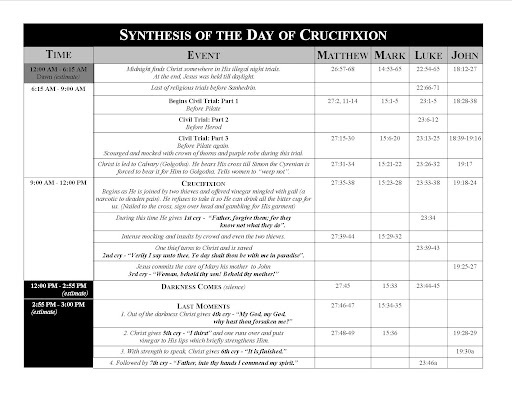 Here’s a chart to help you study the Crucifixion Day. It’s worthy of study, even a slow lingering over the details. 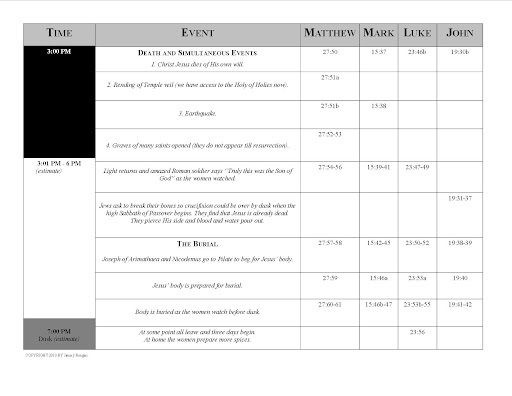 Contact me via facebook or email if you would like me to send you a free pdf file of the chart below.